A paramedic is well trained to provide medical support to stabilize a patient enough to be transported to a hospital and to provide continued care in route to the hospital. 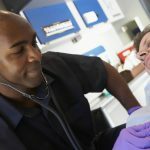 If you’d like to become a paramedic, there are many life saving procedures they can carry out, though the specifics will depend on the state in which they are certified. Before an individual can enter training to become a Paramedic, they will need to have graduate high school or to hold a G.E.D. certificate. It will be necessary to pass a background check and to pass a physical showing they can carry out all duties required for a paramedic. Paramedic students need to be CPR certified before they start training and they will need to have a valid driver’s license. Paramedics must attend a training program approved in their state. These programs can vary in length with many being as long as two years. At some colleges, you will actually receive an Associate’s Degree upon completion of your paramedic training. After completing this training, you will need to sit for the certification exam in your state. The exam will require you to demonstrate skills and knowledge needed to perform the day to say duties of a paramedic. These are just a few topics that will be covered in a training program. Paramedics will learn about anatomy and physiology, medical terminology, certain medications and a variety of medical conditions. These programs can range from 1250-1500 hours, but as mentioned they are often part of an Associate Degree program which will include additional hours of general education coursework. Paramedic students will have lectures, labs and of course clinical and field experience. Your training program or degree must be finished in its entirety before you can test for your licensure in your state. The national average for paramedics is currently about $42,000. The salary varies depending on location and a paramedics experience and years on the job. Some states have averages much more or much less than others. For example, the average in Washington State is about $65,000 per year and the average EMT salary in Pennsylvania is around $54,000 per year. With the District of Columbia and Hawaii being among other locations paying more than the national average. Earnings will also depend on your employer and whether you are working for public, government or private sectors. Government jobs for paramedics are among some of the highest paying. It is not uncommon for an individual to be able to find employment for well over the national average. If you become a paramedic and work for the government you could earn up to $54,000 per year. Many paramedic employers provide other benefits to their workers. They may include things like: health insurance, retirement plans and paid time off. Some employers even offer various forms of tuition assistance for paramedics looking to expand their knowledge and expertise. Other benefits and perks for the job might also be available depending on where you work. The Job prospects for paramedics are quite good. There will always be a need for individuals who can provide pre hospital care for individuals in a variety of medical emergency situations. A nice growth of EMT and Paramedic jobs has been seen over the past decade or more. These job opportunities have been expanding particularly rapidly since at least 2014. They are expected to continue to do so through the year 2024. Generally speaking, the need for paramedics is and will continue to be quite high. This field is growing faster than many other career fields. This is a good field to go into if you are hoping to find a job without much trouble and one where you can earn a good income and can find room for growth. When looking at the employment of both EMTS and paramedics, there were at least 239,000 in 2012. Growth over the next few years in this field is expected to reach a 15% increase which means there is a significant need for more EMS staff. This is not an overflowed field like so many other job fields in the current market. 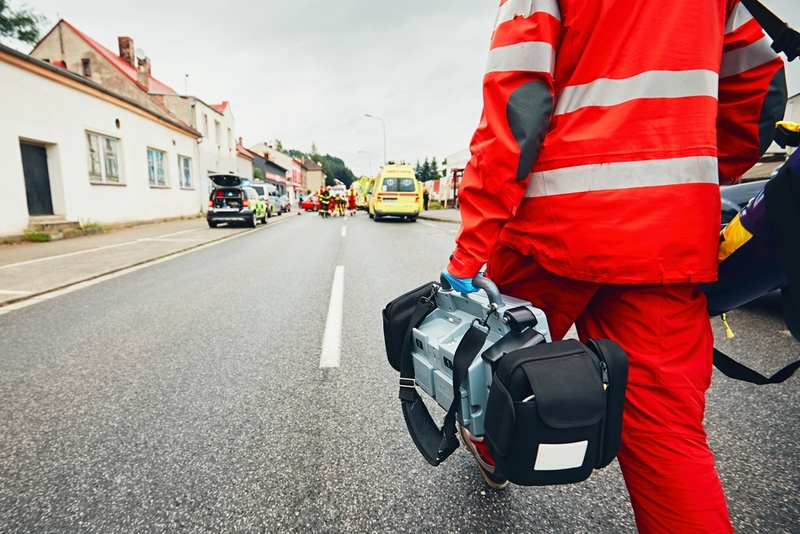 Sadly, natural disasters, criminal activity and an increase in automobile crashes has caused there to be a need for more paramedics than ever before. A lot of people become hurt or injured everyday and they need caring. Well qualified paramedics can help keep them safe and alive until they can arrive at the hospital for additional care. The need is also increasing in current times because there are a large number of older Americans and they sometimes have medical crisis’ that require EMS services. Some states in particular have had a large increase in the number of paramedics being employed. Examples include: Pennsylvania, New York and California. States with larger populations also tend to have more employment opportunities for new and veteran paramedics since there are a larger number of people who potentially need care. Paramedics can find employment in both private and public sectors. For instance, fire and police departments can have a need for their own paramedics as can the military. There are many ambulance companies both public and private that need well qualified paramedics. Some hospitals have their own ambulance service with paramedics. There are opportunities for paramedics who will serve as flight medics on medical helicopters. It’s interesting to note that the Board of Labor and Statistics has noted that Paramedics working for state government agencies typically have the most earning potential. Many of those jobs pay as high as $59,000 per year. Generally speaking, government jobs often offer more generous benefits packages and may provide better retirement packages. We seem to be living in a time where there are not enough hospital medical staff. This can lead to overcrowding in emergency room settings. There can also be shortages of beds for individuals who need to be admitted to a hospital. For that reasons, EMTs are often need to help provide care to patients who are going to be moved from one hospital location for another. This creates even ore employment options for paramedics. When considering a job as a Paramedic, you will see that there are good employment opportunities and the potential to have some good earnings. But there are some other things to consider. The job as a paramedic can be quite demanding and quite stressful. You will need to be in good physical shape and be able to carry significant amounts of weight. You must be able to act fact even if there is a lot of noise, commotion or high emotions surrounding you. Paramedics often work in 12-24 hour shifts and sometimes even longer. A job as a paramedic can be dangerous. You can be repondining in times of bad weather and large natural disasters. You can be responding to fires or need to cross dangerous terrain to get to people in need. And, of course, there will be times when you will be responding to victims from criminal activity. The job will not be without its challenges. But there will be many positives as well. You will be able to help others in their time of need and might even deliver some babies throughout your career. You can provide some comfort and hope to loved ones and friends of someone when they are seriously ill or injured. There are certainly opportunities for advancement when working as a paramedic. Sometimes additional training or education may be required. You might have the opportunity to be a supervisor with other paramedics or EMTs working under you. Some paramedics even go on to become directors at their emergency service agencies. There are some states that have advanced training Paramedics can receive to be able to carry out even more medical procedures in the field. This training would give you more responsibility and might also offer you a higher pay scale.